So you have a wooden floor in your property. Congratulations! One of the enduring features of English building for centuries, timber creates the natural floor surface that can improve and mature with age. But it does need to be maintained. Whether hardwood (oak, beech or walnut) or softwood (pine, yew or Douglas fir); from solid boards or engineered layers; the geometric patterns of parquet blocks or herringbone.. a great variety of floors have been installed in UK properties for generations. Their virtues are clear: natural beauty and hygienic properties. They have no need for carpets or other coverings; and are easy to keep clean with a sweep and a mop. Their adaptability makes them valuable in all kinds of settings from home and office to gym and gallery. Natural or coloured stains or waxes can quickly change their appearance to suit your decor. Perhaps their prime quality lies in their durability. Properly looked after, a floor can last for hundreds of years: a worthwhile investment in the most modest property. Estate agency statistics show that the presence of real wooden floors tends to command a premium over carpets or laminates. A wooden floor will be subject to everyday wear and tear; withstanding dust, dirt and careless feet. Over time, scratches and scuffs will lead to a grey and dull appearance. Water spills and the moving of heavy furniture can also take their toll. Left untreated, minor marks can lead to more serious damage.. The solution is simple restoration by floor sanding and sealing: a job for a professional floor sanding company. When your wooden floor needs a facelift, click on our ‘Get a Quote’ link or speak to the wood floor sanding specialists FREE on 08000 076 076. Wood floor restoration has several stages. We repair and replace damaged boards; sand to remove the old layers of dirt and sealant; and then apply a new protective finish of lacquer, wax or oil. And the best news is that your new floor may be even better than when originally laid down: wood floor repair techniques and floor care products are now far superior to those available even a few years ago. They offer more attractive finishes, are easier to apply and are much longer lasting. So how do you choose a floor sanding company? You will want to ensure that the care and restoration of your valuable floors are in goodhands. Always striving for quality and with due attention to the smallest detail, we have restored hundreds of floors in all kinds of settings. We always keep up-to-date with the latest products and techniques. We listen closely to your requirements to ensure that you receive the appropriate advice for your flooring needs. You will then enjoy an efficient job performed with minimum fuss. We appreciate that restoring a floor entails a degree of mess and disruption. 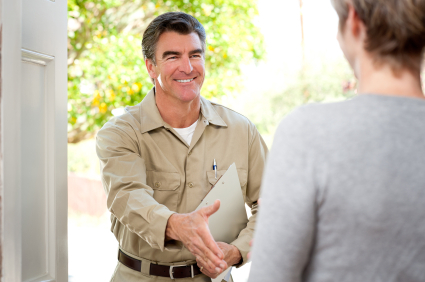 We will respect your property and the value of your floors. Our aim is to make any inconvenience as minimal as possible. 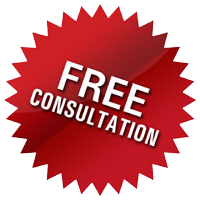 If your floor needs some care and attention, do contact our floor sanding company for a no-obligation free quote. 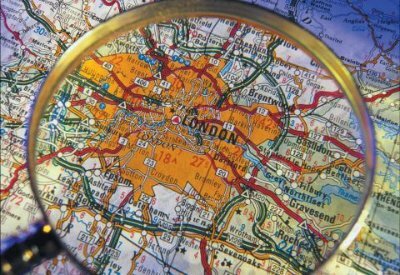   • a free assessment at your property. We not only look closely at your floors but discuss with you what you want from them.   • a detailed quotation with no hidden extras. What we submit is what you pay.   • a confirmed date to suit your domestic or business schedule. We do offer out of hours working - at weekends or even overnight. Please feel free to discuss with us. • floor sanding and restoration of all wood floors: solid strip floors; wooden laminate, wood blocks (eg herringbone), parquet blocks, Victorian and Georgian pine floorboards, cork floors.  • wood floor repairs and restoration from one damaged piece of block or broken board to large areas of damaged flooring. •  protective sealing with the finish - lacquer, oil or hard wax - of your choice. Bona wood floor cleaning kit and heavy duty felt pads furniture surface protectors FREE with all our wood floor refinishing services. 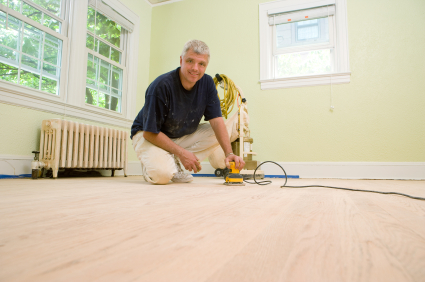 We offer you more than a floor sanding services. The restored wooden floor will form a vital part of your domestic or commercial environment - and must serve to enhance it. • What is the overall 'look' you want to create? •  Is there a particular ‘feel’ you want to create in the room? • How much natural light is there? • What colour will the room be? And how will the floor match this? •  Will it match your existing decorations and furnishings? Will it require a change of colour or shade? •  Do you want a uniform finish or the natural look provided by gaps? If draughts are an issue, filling the gaps might be an option.  • What about the type of finish? Matt? Satin? Glossy? How hard wearing?  • Do you prefer lacquer or the traditional option of oil or hardwax? Our floor sanding and restoration service is currently available for the London area and the home counties of: Essex, Hertfordshire, Hampshire, Surrey, Sussex, Kent, Bedfordshire, Buckinghamshire, Suffolk and Oxfordshire. Over the past twenty years, we have worked on all kinds of wooden floors in every setting from homes to offices, schools, gyms, galleries and bars. 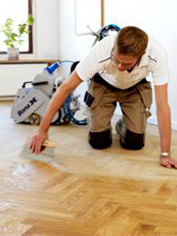 We have refined our practices in sanding and the application of protective sealants. 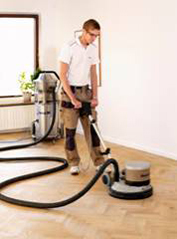 So we use the latest sanding technology; with equipment from the top names of Bona, Festool, Numatic and Bosch. 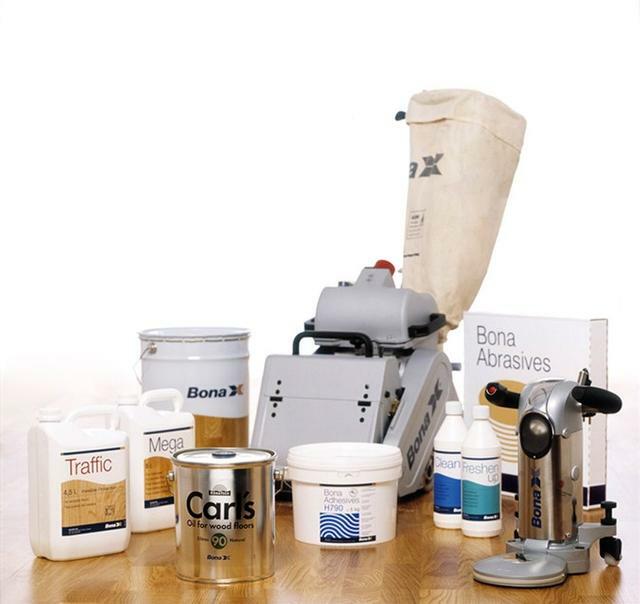 There is a very wide choice of finishing products on the market. What is best for you depends on the composition of your floor, its location, the amount of potential wear, its look and how you want it to perform. We only recommend the highest quality products - applied to the manufacturer’s instructions. Stains and finishes - lacquers, waxes and oils - are from world leaders such as Bonakemi, Morrells, Osmo, Blanchon and Junckers. They may require the application of several coats but it will be worth it. Your floor will look better and last longer. Quality floor sanding and finishing is an investment that pays for itself in the longer term and will last for years. 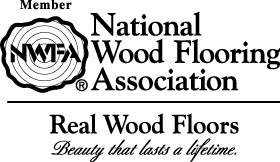 Why choose a member of the NWFA - National Wood Flooring Association? All our sanding operators have achieved excellence through very long experience and dedication in the floor sanding trade. However, for their perfection in utilising all finishing products they have also gone through a NWFA training. A wooden floor refurbishing contractor who is a member of the National Wood Flooring Association can help you with each phase of your flooring decision, from choosing the right type of finish based on your location, lifestyle and budget, to giving you the high-quality floor sanding or refinishing that you expect, to taking care and maintenance instructions and products of your hardwood floor so that it will look beautiful for many generations to come. If your floors are looking slightly the worse for wear but you don't have the time or budget to go the whole hog on floor sanding, have you tried a screen and refinish? It's a fast and cost-effective way to make old floors look as good as new, and while it won't get rid of deep scratches or allow you to stain your floor for a different look, it is a quick fix for old floors that need a fast facelift. Best of all, it's a straightforward five-step process you can complete in a day. 1. Give the floor a good sweep and vacuum and check for any stains or dried on debris. You can remove this with a damp mop or cloth. 2. Mop the entire floor with a light vinegar solution and then leave to dry thoroughly - never proceed with screening if the floor isn't 100% dry. 3. Use a pole sander or floor buffer with a 120-grit sanding disc to abrade the floor finish. Gently swing the buffer to and fro from left to right so you scuff up the old finish but don't cut right through it to the bare wood. The result should be a smooth and dull floor surface that is ready for finishing. 4. Vacuum the floor thoroughly to remove every trace of dust. Now wipe over with a cloth soaked in mineral spirits - don't use a cloth that you've washed in fabric softener as this will interfere with the way the floor absorbs the finish. 5. Now cut in around the edges of the floor using a paintbrush to apply your chosen finish. Apply with the grain of the wood and finish applying with a foam pad applicator. • Do test for adhesion of your chosen polyurethane - apply to a small area out of sight and leave for 24 hours. If there's an orange peel effect on the surface or the poly scrapes off easily, then you may need to resort to floor sanding for the best effect. • Don't try and screen and recoat over a wax finish as the result will be blotchy. • Do make sure the room is well ventilated when working with a floor buffer. • Don't screen and recoat when the floor is seriously damaged - you'll need to repair the floorboards and then sand and refinish the entire floor for the best results. Need help getting the perfect finish? Speak to the team at The Parquet Restoration Experts.